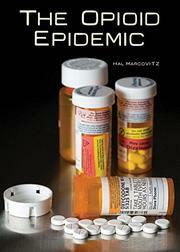 Marcovitz offers a timely exploration of the issue. Marcovitz doesn’t avoid the issues of race, class, and gender in this discussion, noting that the opioid epidemic is nothing new. What’s happening is that it has primarily switched from the natural to the synthetic, broadened its market base, and so heightened its profile. The author uses numbers judiciously, allowing them weight—2,000,000 opioid addicts in the United States; a half-million heroin addicts—without emphasizing them so much that they become forgettable. He makes it real, with grim, everyday anecdotes. What is opium, why did people decide to strengthen its powers into laudanum and morphine, what is dopamine, what happens when we overstimulate the opioid receptors in our brains? Occasionally Marcovitz will drop a bomb (“a CDC report found that in some states, there are more opioid prescriptions than there are people”) though he is a four-square humanist: he quotes a Canadian doctor as saying, “If you live with constant suffering that’s not controlled, you have relatively few options. You either turn to the black market…or suicide, as the other option.” Or, Marcovitz suggests, take out the greed and corruption fostered by draconian laws, put sensible controls in place, and deploy a seriously informed and funded program of prevention, treatment, and recovery. The book concludes with a list of resources.